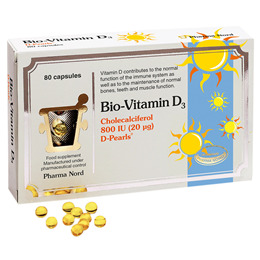 Bulking agent: Olive oil, Capsule shell: Bovine gelatine, Humectant: Glycerol, purified water, Vitamin D3 (Cholecalciferol). 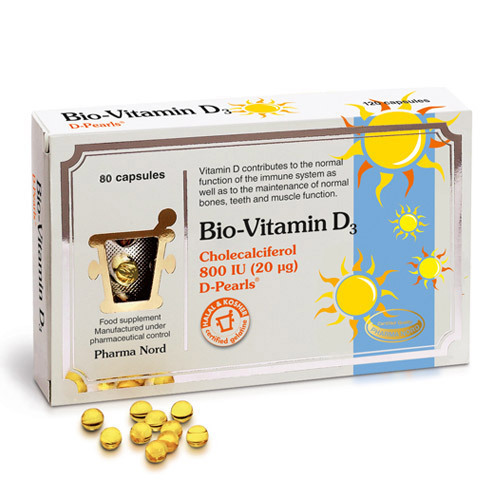 Below are reviews of Pharma Nord Bio-Vitamin D3 800iu - 80 Capsules by bodykind customers. If you have tried this product we'd love to hear what you think so please leave a review.